As we approach the end of the year, I use a lot of STEM challenges for my kids. It's a great way to keep kids motivated to learn when all they can think of is summer vacation. 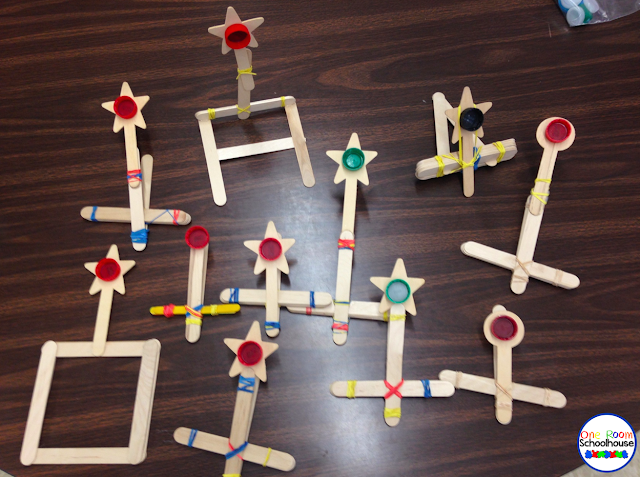 Here are the catapults the kids created. 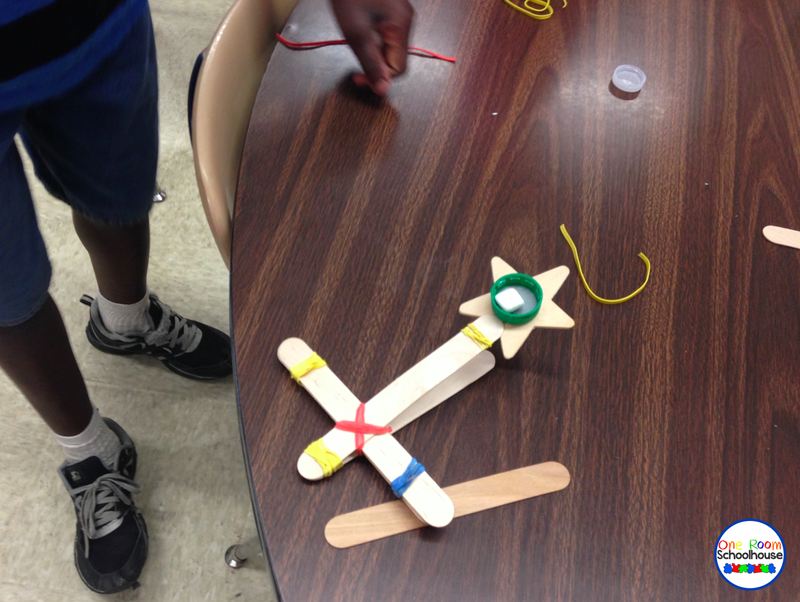 They were allowed to use as many popsicle sticks and rubber bands as they needed. I hot glued the lids for the kids, and they did all of the other work themselves. 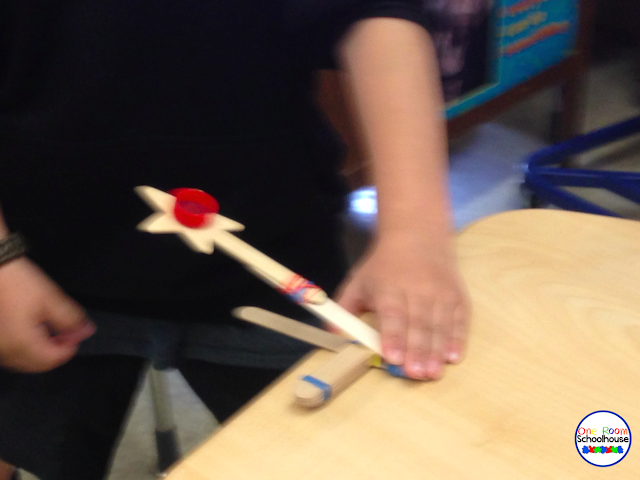 To get them started I searched popsicle catapults and pulled up a few pictures to show the kids. I let them use their imagination to create what they wanted. 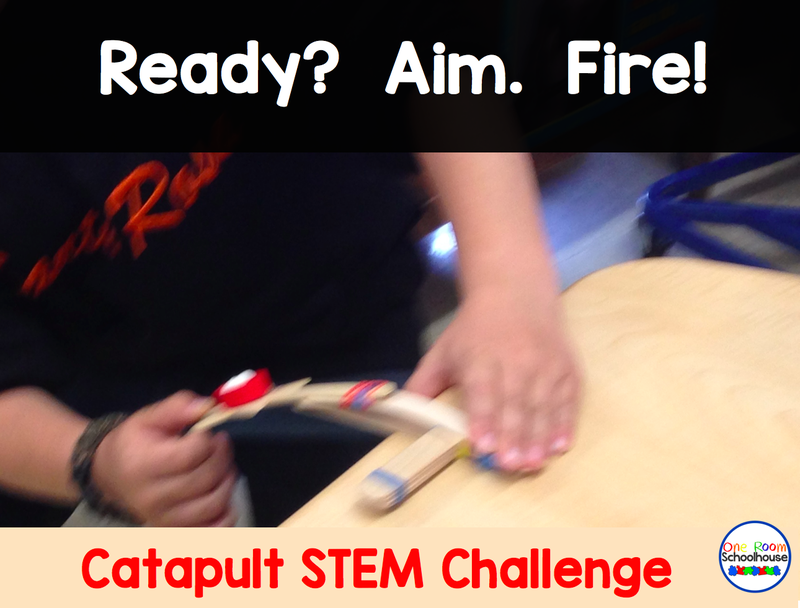 The official challenge was to see who could create a catapult that would launch a mini marshmallow the greatest distance. 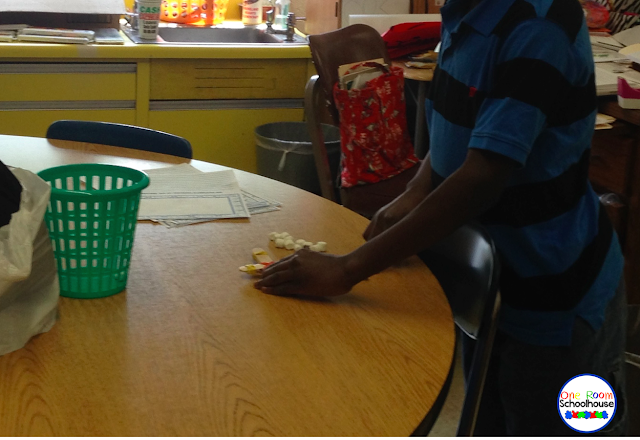 We had some time left over, so kids tried to launch their marshmallows into small bins that I have in the room. They loved trying to aim their catapults at a target. 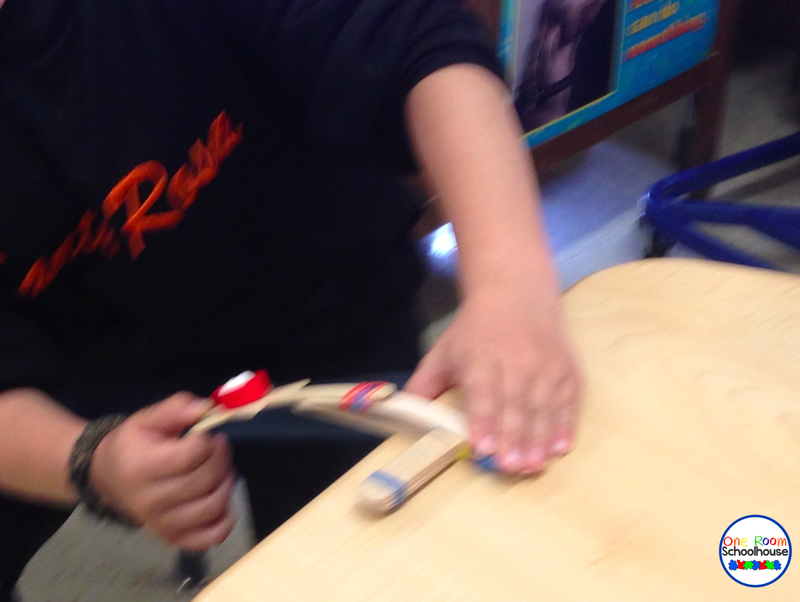 The kids had a great time working together.